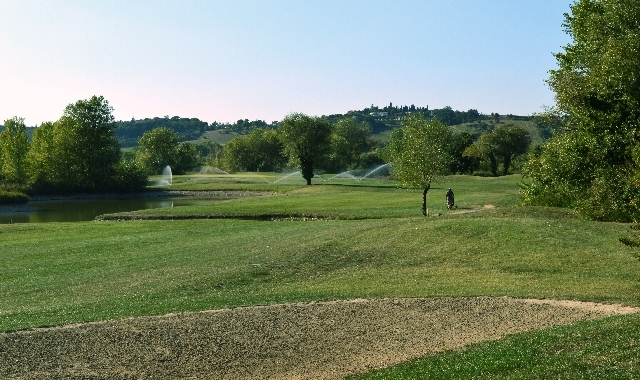 Rimini Verucchio Golf Club is situated just a few kilometers from Rimini (Italy). 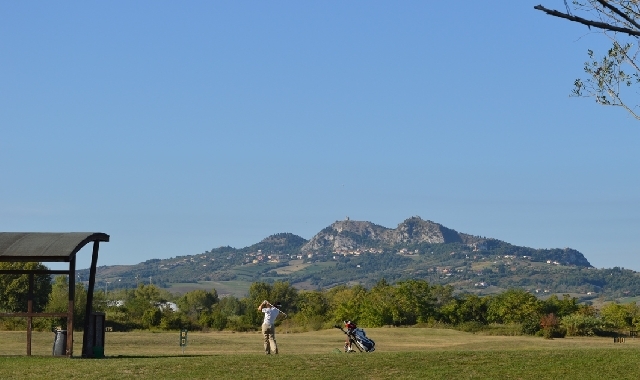 The golf course, designed by the famous American architect Brian M. Silva, extends over the lush green expanse of the Valmarecchia Park. All around, it offers unrivalled and truly breathtaking views of the medieval boroughs of Verucchio, Torriana and San Leo. 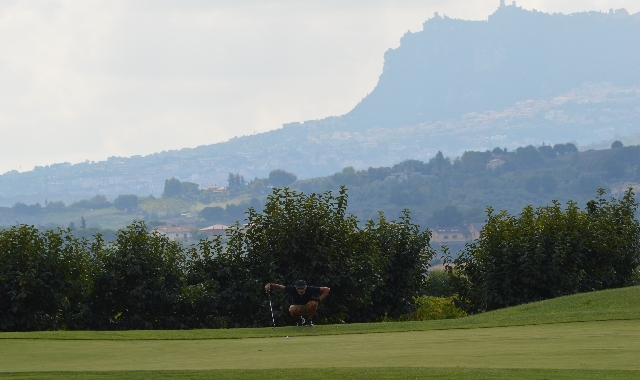 In the background, it is possible to make out the castles of San Marino and Mount Carpegna. 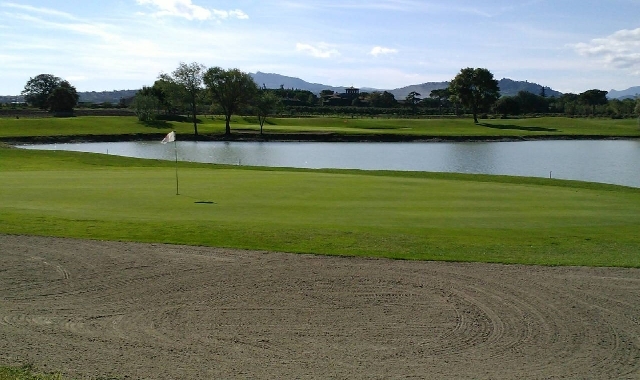 Rimini Verucchio Golf Club offers a charming course and thanks to its 18 championship and 7 executive holes, which are reserved for beginners, it can satisfy the requirements of all golf enthusiasts. Its gently rolling fairways, dotted here and there with bunkers and small lakes, guarantee that any game is just a little more demanding on the golfer. Golfers of all levels can use the splendid Golf Academy, a fully irrigated and floodlit course that is 210 meters wide and 340 meters long and has 100 positions, including 25 under cover, and directional greens. Very nice and freindly people. Relaxed atmosphere!